The Main Lodge houses our lobby and office as well as sixteen rooms. The rooms are accessed by an interior corridor and are available in smoking and non-smoking environments. Each room offers two full sized beds with a private bathroom, cable television, air conditioning, refrigerator, phone service with free local and long distance (US & Canada) calls as well as individual voice mail, an alarm clock with battery backup, and a sitting area for your relaxation. 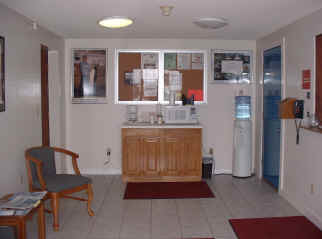 The lobby also offers a coffee maker, and a microwave for your use. "The Hill” consists of four buildings that feature rooms with two, four, and five beds. The larger rooms are configured with one full sized or Queen bed (Depending on the individual unit) and multiple twin beds. All the units offer the same amenities as described for the rooms in the Main Lodge. Our expansive well-kept grounds complement our rooms by offering a vast array of amenities. 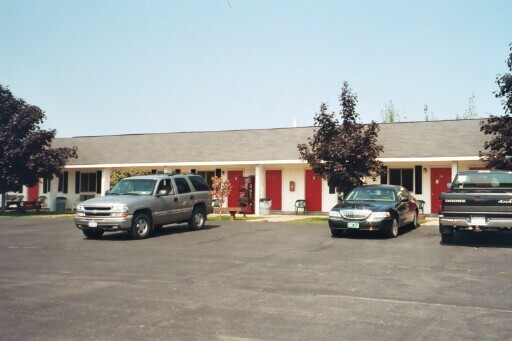 We have a large parking area to accommodate boats, trailers, snowmobiles, or any vehicle you bring. 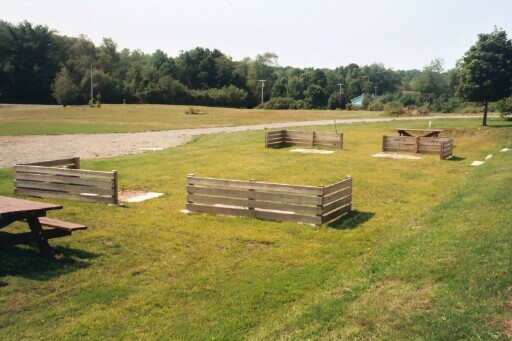 When you are not out in the area at one of our many attractions you can take advantage of our barbeque grills, picnic areas, or horseshoe pits. Maybe you would rather relax on one of our large decks or take advantage of our pool. You will find the pool and surronding deck nestled out of the way behind the Main Lodge away from the traffic and noise. If you have “little ones” along on the trip let them play on our swing set or if they have four legs take a walk around the “back forty”. For the fishing enthusiasts we provide free freezer storage for your “trophy catches”. If you would like to get a better view of any or all of our facilities, click below to be taken to our Facility Map page for more detailed pictures.